Mostly many of people dont know that facebook keeps some name limits for Pages, Profiles, Groups , Friends, Events etc. Just like we cant change facebook profile name after 5 times, we cant change our profile username more than 1 time, we cant change a facebook page name after 200 Likes, we cant change facebook group name after reaching 250 members, we cant add more than 5000 friends to our facebook profile and it is not possible to change the name of an event if it has more than 5,000 people invited.In these days, Many people are keeping Facebook Account Names in Different stylish Fonts, But Facebook is Banning the Accounts who using those type of stylish fonts, fake names. Today i going to discuss about the another feature from the Facebook help support team after request to change name after crossing limit. As per rule you are eligible to change name for particular account 4,5 times only. After crossing limit you are not able to change it again and you are only able to change name from 5 listed names. So don’t worry if you have crossed out limit then no need to worry you have another change to get your real name back on your personal account. 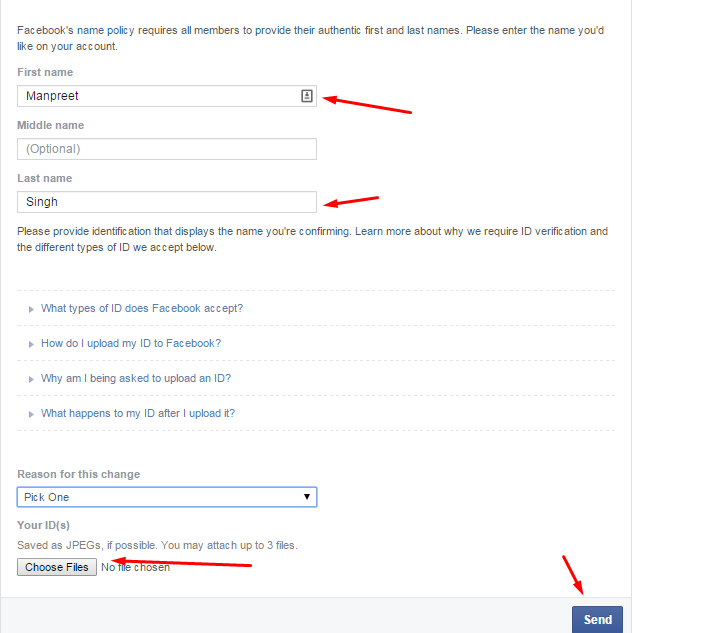 We have the solution to change to once but if you have not crossed the limit then i recommend you to try my trick about How to Make Single Name Account on Facebook, i hope like that one. As per Facebook Rules, the profile name you use should be your real name as it would be listed on your credit card, student ID, govt-issued proof etc. So I personally suggest everyone to keep your facebook account of real name without any fonts or special characters. 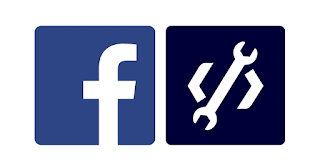 So if your profile name limit is exceeded and want to change your facebook profile name to your real name, then Click Here. Fill that form and you have to upload your valid Government-issued Proof – photo ID like a Driver’s License or Passport etc and after your upload finishes, finally click “Send” button. If you don’t have this, you can submit copies of any 2 other documents that together show your full name, birthday and picture. For more information about the Submission of Proofs, check out by Clicking Here. Before you submit your any valid ID proof, try to have a real picture on your Facebook Account because this may help you to get your name change fastly as facebook staff will consider your facebook account as real account. Above we are talking about how to change Your Name on Facebook After Limit 2018. Before you submit you valid ID, Facebook staff verified it and changed your name within 4-5 days. So I suggest you to take a clear picture of you proof either by Scanning or by capturing from a good camera or mobile.